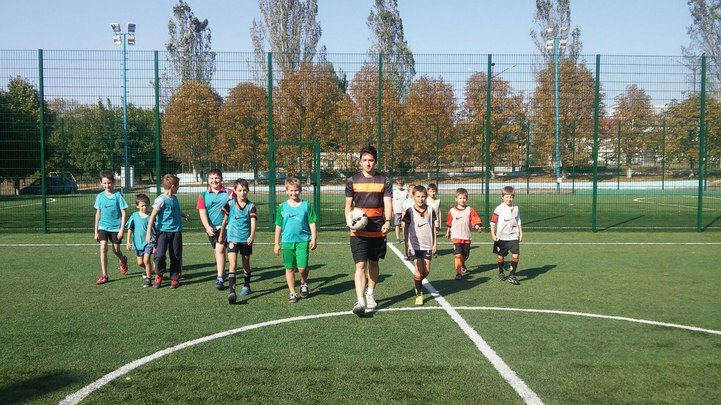 On September 30, Chervonogvardeysky district of Makiivka hosted the tournament among the youngest participants of the ‘Let’s Play!’ project. The competition was attended by 25 children aged between 6 and 9, who have formed four teams. The names for each of them was chosen by the captain - by the name of a favourite player of Shakhtar. So there were groups with names “Pyatov", "Rakitskiy", "Srna" and "Teixeira". Traditionally, the winner was determined by round robin system: each team held three matches lasting twenty minutes each. According to the regulations of the tournament, there could not be draws- the players had to take penalty kicks. Today, there were two penalty shoot outs! As a result, a triumph of the tournament was the team named Darijo Srna – they got 9 points and Artem Ladoshkin was voted the best player; he scored five times. Naturally, each participant of the competition received prizes from FC Shakhtar, and the winners even got a Cup.